The Beatles - 2 Mug Set - Plus BONUS - Only $5.99! You are here: Home / Expired / The Beatles – 2 Mug Set – Plus BONUS – Only $5.99! 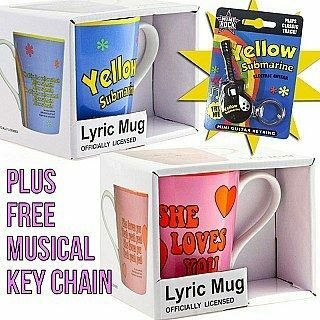 The Beatles – 2 Mug Set – Plus BONUS – Only $5.99! You’ll be the envy of your friends with The Beatles – 2 Mug Set – Plus BONUS – Only $5.99!